Our dedicated Young Learners centre is located at The Godolphin School In Salisbury, Wiltshire. The school is a leading independent boarding school with whom we work over the summer time. A few minutes’ walk from the city centre, the school is provisioned with everything a discerning parent would expect from a British boarding school – swimming pool, tennis courts, sports centre, performing arts centre, music centre and even a wood panelled Great Hall. 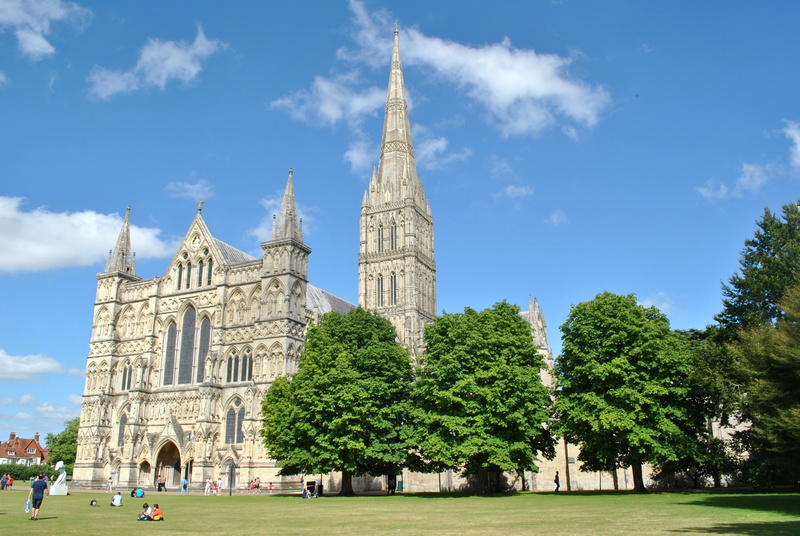 The ancient city of Salisbury is an archetypal English Cathedral city – architecturally fascinating, historic and with a wonderful ambience. It also benefits from a marvellous location , being less than 2 hours from London and within easy access of major visitor attractions such as Bath and Oxford and just down the road, Stonehenge. Classes and activities take place on site at the school and excursions are off-site – either locally in the city or by private coach transport to other destinations – click here to see a sample activity programme. Residential Accommodation – the school has four boarding houses in which students stay. Supervised 24 hours a day by our on-site team, this option is great for younger learners or those who want to be close to their friends. Rooms are either twin or quad with shared bathroom facilities and all food is included in the package price and served in the schools excellent dining halls – click here to download a sample menu. Homestay Accommodation – this can be the ideal choice for the older student or for someone wanting to experience real life in an English city. Hosts will provide and care for the students and hot lunches will be provided at the school Monday to Friday. Rooming arrangements can vary and we love to mix students up so that we gate different nationality pairings staying in the same house – they have to speak English then!